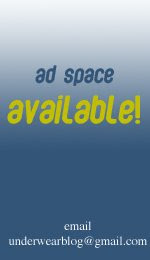 Save now on today's hottest trend: men's underwear and swimwear that lifts your boys and enhances your bulge. 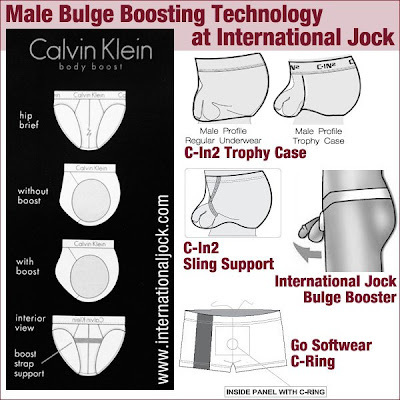 Enjoy BIG savings on a BIGGER bulge with International Jock's HUGE selection of styles that create a remarkable increase in your male profile: The Body Boost system from Calvin Klein, C-In2's Sling Support and Trophy Case designs, Tulio's Power Pouch, Gregg Homme's Push Up styles, C-Ring fashions from Go Softwear and many more. International Jock carries the largest selection of enhancing underwear anywhere - there are more than 150 styles from which to choose. They also have their own brand of enhancement underwear (the Bulge Booster) that is very similar to WildmanT's Ball Lifter.